Have RV questions? Ask an RV mechanic online. Experience: Ford Cert. Chevrolet Cert., Heavy Line Mech, Race Shop Owner, Mobile Electronics. 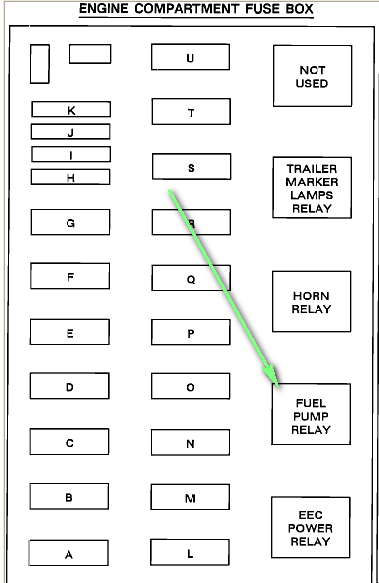 Does your Pace Arrow have the Engine Compartment Fuse Panel? The Central Electrical Panel by Fleetwood is completely different. Relist: Expert was unable to answer and opted out. I have a 1992 Pace Arrow 35 /W a 460 Ford on an Oshkosh frame. 460 Ford: Have a Pace Arrow Vision 1996 that wont start. Excellent reply, and also very quick. Really sounds like the Expert knows what he is talking about. I will be back to use your service when I need more help with my RV. Highly recommend this RV expert. Prompt, good and detailed answers were given. Very willing to help with genuine concern. I will ask for him next time. 5 years RV repair and reconstruction, Fleetwood RV Training course completion. RVDA/RVIA Master Certified Technician with many years experience. 18 yrs. RV experience including Cummins North West, Country Coach, Monaco Coach - vendor certified.